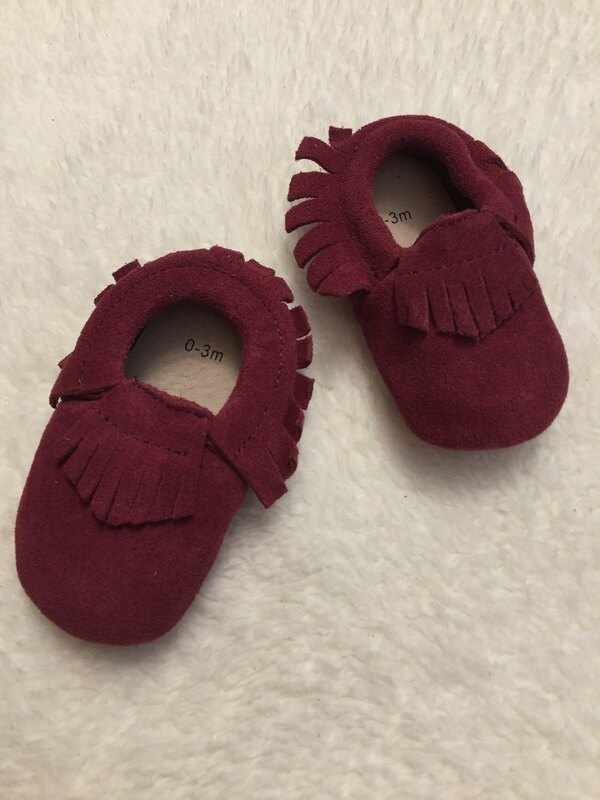 Super cute baby moccasin shoes from SanBelle!! From your daily coordinate to formal style, there are lots of ways to play with . 【Size】 0-3 month 3-6 month 6-9 month 9-12 month 12-18 month 【Color/Material】 Color:Purple red Marerial:Lether 【What is SanBelle?】 SanBelle is a baby clothing brand from Chile and also has a new concept in baby clothing made with textile technology, with the aim to provide protection for baby´s skin, comfort and safety. What SanBelle makes special is all of our garments are manufactured with our"Three Permanent Skin Protection Technologies" ◆UV SPF 50 ◆Anti-bacterial ◆ Anti-humidity we not only aim to provide comfortable and beautiful designs, but we strive to bring health oriented and innovative garments to help you keep your baby safe and healthy!